Legislation to extend a pilot program allowing San Diego Mesa College to offer bachelor’s degrees is headed to Gov. Jerry Brown’s desk after passage in the state Assembly in the final week of the legislative session. Mesa College was the first community college in the state to offer a four-year program, and the first graduates received their degrees in Health Information Management in May. A total of 15 community colleges now offer bachelor’s degrees that are not available at a nearby University of California or California State University campus. Under Senate Bill 1406, introduced by state Sen. Jerry Hill of San Mateo, students can begin their bachelor’s degree program as late as the 2022-23 academic year and graduate by July 2026. “The baccalaureate pilot program has already strengthened workforce preparation and job opportunities in fifteen California communities whose community colleges are part of this initiative. 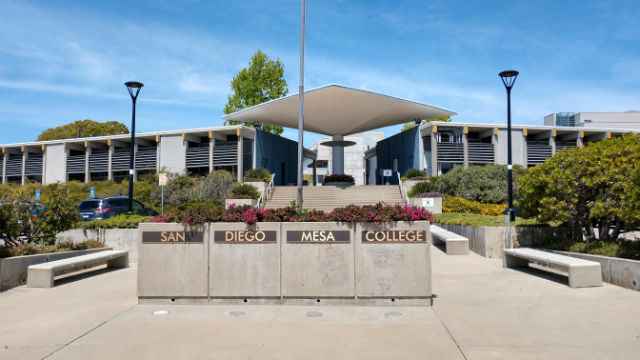 We are pleased that this important legislation is going to the governor’s desk,” said San Diego Community College District Chancellor Constance M. Carroll. California’s Baccalaureate Degree Pilot Program, authorized in 2014 through legislation introduced by former state Sen. Marty Block, allowed 15 community colleges to offer one bachelor’s degree each in a limited number of workforce preparation areas. The intent was to address an estimated shortfall of 1.1 million college graduates by 2030. Mesa College President Pamela Luster said students have been pleased with both the low cost — just $10,560 in tuition and fees over four years — and career opportunities provided by the new degree program.